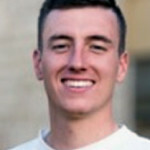 As a youth player, Will played two years under Scooter Shaffer at Texas Titans. Then went on to play for 3 years at Fort Worth FC. Two year varsity letterman from Weatherford High School. Earned 1st team All-District as a senior. In college, Will played two years at Ranger College in Ranger, Tx. Qualified and attended the NJCAA National Tournament his freshman year. From there, Will transferred to Texas Wesleyan University in Fort Worth, Tx where he played the final 2 years. Graduated in May 2017 with a Bachelors of Science in Exercise Science degree. Certified coach through National Association of Sport and Physical Education. Aspires to further his knowledge of the game to players willing to learn and pass on the passion and desire of the game to others. Die hard fan of Manchester United.